Ever since Dr. Oz mentioned it, the weight loss community has been buzzing about forskolin. The benefits of natural medicine make many feel safer than when using chemical compounds or other products that may or may not be effective. Taken from ancient Ayurvedic tradition, forskolin promises weight loss through natural metabolic principles. But does forskolin really live up to the hype, or is it another nine-day wonder "natural" diet pill? In this forskolin review, we'll help you decide if this supplement is right for you, and help you foresee any possible side effects or risks to look out for. We'll also share our list of best forskolin supplements that we recommend, to cut down on your research time. So How Does That Affect Weight Loss? So Can I Lose Weight on Forskolin – or Not? Can I Just Eat Like I Normally Do While Taking Forskolin? Is Forskolin Just Another Ayurvedic Craze? How Does Forskolin Stack Against Garcinia Cambogia? What Is the Recommended Safe Dosage of Forskolin? Does It Matter Where I Get My Forskolin? So Which Forskolin Supplement Is Best? In Conclusion: Should You Try Forskolin? Forskolin has been a part of Ayurvedic medicine for centuries. According to Ayurvedic principles, the cAMP-activating properties of forskolin have been effective in treating everything from asthma to eczema and hypertension. Modern applications have even applied it for treatment of glaucoma. However, the reason everyone knows the name “forskolin” now is because it can aid in weight loss. In medical terms, forskolin activates the enzyme adenylate cyclase in body tissues, resulting in a strong physiological reaction. The active ingredient in forskolin, an isolated diterpene, causes cAMP-dependent physical stimuli. Research is unclear on whether the effects of forskolin actually support weight loss. Forskolin triggers a release of stored fat from the fat cells in your body, but simply releasing stored fat isn’t enough to cause weight loss. That stored fat still needs to be burned off as energy consumed by your body. Studies that have looked at forskolin as a weight loss supplement have seen mixed results. In a blind trial of 30 overweight and obese men, 15 were given forskolin while 15 were given a placebo. Those who took forskolin saw fat loss and muscle gain but no measurable weight loss; they did, however, see a rise in free testosterone. In a similar study conducted with 23 overweight women, the subjects took a steady dose of forskolin for 12 weeks and saw no significant measurable results in fat loss. Forskolin may be effective in helping with fat loss for men while promoting lean muscle gain. For women, however, it may act more as a weight gain deterrent while having little effect on any existing fat in the body. Forskolin doesn’t seem to have a powerful enough effect to substitute for a healthy diet and exercise and doesn’t have as drastic an effect as many artificially synthesized diet pills. It’s entirely possible that any weight loss effect is a result of the lifestyle change and a psychological placebo effect caused by taking the pills. Not exactly. If you’re eating unhealthily, you can’t lose weight by continuing your normal diet and taking supplements, even a powerful enzyme activator like forskolin. You still need to cut your calorie intake and create a negative balance of energy expended versus energy ingested in the form of food. In layman’s terms, you need more output than intake in terms of caloric energy. Food is fuel, and when you have too much fuel in your body, then your body converts it to fat for storage. Many supplements can support better caloric output through appetite suppression and a deep effect on the metabolic process, but forskolin hasn’t been show to provide these benefits. To lose weight with forskolin, you still need to make lifestyle changes, although forskolin may provide some benefits in accelerating the results of those lifestyle changes. If you say something is “Ayurvedic,” it’s certain that the health-conscious and those desperate to lose weight will take interest. But does saying something is Ayurvedic truly mean it’s effective or even authentically part of Ayurvedic medicine? First, you should understand what Ayurvedic medicine is: a long-standing and sacred practice in Hindu medicine, using herbs and certain physical practices to prolong life. The term “Ayurveda” comes from Sanskrit “ayuh,” or “life/vital,” and “vedah,” or “knowledge.” So Ayurvedic medicine is literally the knowledge of life. Part of that knowledge does include use of plant-derived medicine, which is where knowledge of forskolin extract comes from. Forskolin is derived from the Indian coleus plant (Plectranthus barbatus), a tall flowering plant with rows of pale purple, slipper-shaped flowers rising from a base of fanning broad leaves. Other names include makandi and mao hou qiao rui hua. In traditional medicine, it’s often used as a tea, but in modern medicine, it’s usually consumed as an herbal supplement in powder or liquid form. The actual medicinal properties are found in the root, and when you buy forskolin supplements, you’re usually consuming a dried, powdered, or otherwise preserved form of the root prepared to maximize its effectiveness. Forskolin has been shown to have potential positive applications in asthma treatment by relaxing the bronchial tubes to allow greater airflow. This happens when cyclic AMP is boosted in the body. Another potential condition that the supplement affects may be glaucoma; considering that forskolin can lower blood pressure, it may also be able to relieve pressure in the eyes. These indications have come from study of the root, with little application of the rest of the plant or other sources of the active ingredient in diets. Considering that both forskolin and garcinia cambogia derive from natural sources and there may or may not be verifiable claims regarding their effectiveness, comparing the two supplements can be difficult. One thing to note is that forskolin releases fat already stored in fat cells, while garcinia cambogia claims to block fat storage altogether. This is similar to the effect forskolin had in women, and garcinia cambogia may work as a tool to avoid weight gain, similar to forskolin. Many supplement manufacturers offer a compound of forskolin and garcinia cambogia together, suggesting they may have complementary properties. While no official clinical studies have established a standard for safe dosage, most providers offer a general recommended dosage for either orally taken forskolin or inhaled forskolin. Supplements generally come in doses requiring 100-300mg per day, usually of an extract containing 10 to 20 percent forskolin. Inhalation of the powder is usually recommended at 10mg daily. As with any product that interacts with your body and may affect your health, be smart when sourcing your forskolin. Watch out for products that contain fillers, or those that are sold from unverified sources. Those fillers may contain active ingredients that can negatively affect your health. You should check for the actual amount of forskolin per pill or extract provided, as well as the daily dosage to determine the effectiveness you may derive from a single bottle. Side effects from forskolin can range from minor to severe. Some consumers may experience a mild headache, while others may notice stinging eyes or dilated, enlarged blood vessels in the eyes. You may suffer from coughing, irritation of the upper respiratory tract, and tremors. Forskolin has also been noted to cause restlessness and an increased propensity for bleeding. The intensity of these side effects may vary depending on the dosage and frequency of intake as well as your particular reaction to the supplement. Those who suffer allergic reactions should avoid forskolin. If you find yourself experiencing undesirable side effects, it may be wise to stop taking forskolin. Forskolin can cause certain severe side effects that may exacerbate existing conditions. While it’s impossible to say how forskolin will affect each individual consumer, people with a previous history of issues or any preexisting conditions should be aware of the effect forskolin may have. The stimulation offered by forskolin supplements can cause tachycardia, or an increased heart rate. You may be accustomed to a quick boost in heart rate when physically exerting yourself, but if you find yourself experiencing rapid heartbeats and palpitations while at rest or undertaking mild activity, particularly irregular heart rhythms, it may be cause for concern. Abnormal tachycardia can lead to blood clots and heart failure. In some instances, patients suffering tachycardia – not necessarily related to forskolin – have experienced sudden death. Low blood pressure can severely restrict oxygen flow to your vital organs and can lead to brain or heart damage. Taking forskolin can cause hypotension, or low blood pressure. While some experience mild symptoms, others may suffer more severely. Symptoms of low blood pressure include pallor, dizziness, vertigo, nausea, blurred vision, fatigue, difficulty concentrating, and unconsciousness. No one likes acid reflux, but if you have an existing gastrointestinal disorder such as GERD, you may have difficulties taking forskolin. Forskolin can possibly increase stomach acid levels, which can aggravate ulcers or other existing conditions. Even without severe gastrointestinal disorders, you may still experience heartburn, nausea, or indigestion. 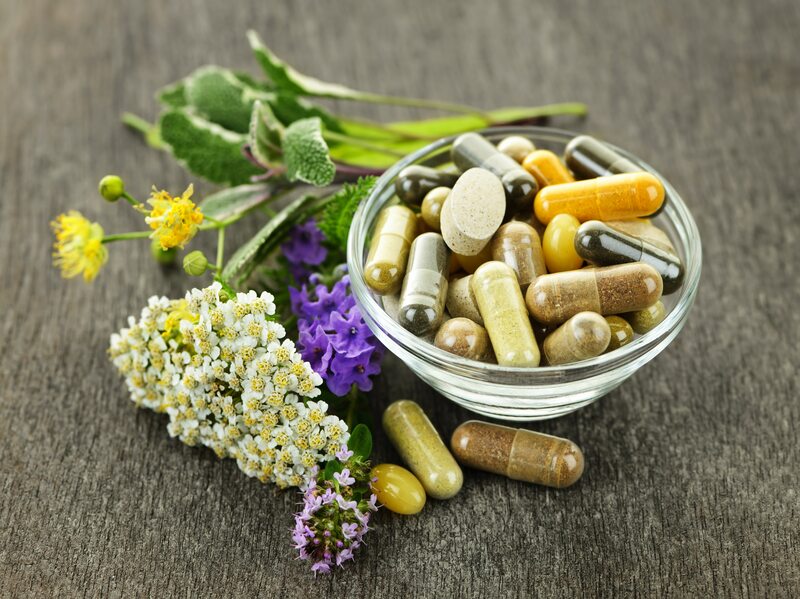 While it’s hard to say with medical certainty that forskolin is or is not dangerous, as with any supplement that affects your body, you should be aware of how it may affect you on a personal level and take precautions to avoid potentially endangering yourself. If you feel forskolin is having a negative effect on your health, gradually begin reducing your dosage while tracking any changes in your symptoms over time. If you fear an interaction with any of these drugs, seek medical attention immediately. Forskolin hasn’t been tested thoroughly enough to indicate safety for pregnant or breastfeeding women. When in doubt, avoid it for safety’s sake. It’s also not safe for those with polycystic kidney disease. Many different manufacturers offer forskolin supplements in liquid and pill form. Let’s take a look at seven of the most popular forskolin brands. Reviews of this product are mixed, varying from claims of 30 lbs. of weight loss in a single year to those who say it did nothing for them. Vitamin Bounty’s formulation promises appetite suppression, metabolism boosting, and lean muscle growth, with that telling asterisk that says these statements have not been evaluated by the FDA. One thing to note is that Vitamin Bounty claims its forskolin formula is “non-stimulating,” in direct contradiction of research showing that forskolin is a physical stimulant. One Amazon reviewer noted taking it not for weight loss but to lower blood pressure. Another mentioned – ahem – “laxative” effects. The first claim ZenVita makes is to have the highest-potency forskolin pills on the market, with 40 percent versus the standard 10 to 20 percent concentration and each pill containing 300mg of coleus forskohlii root extract. 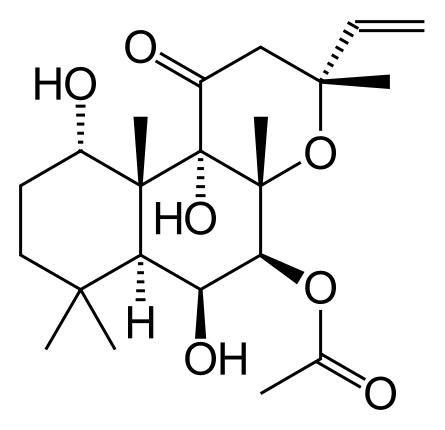 Considering forskolin hasn’t been evaluated for safe dosages, it’s up to you to decide whether 40 percent makes it twice as effective or twice as potentially dangerous considering the side effects. One positive note is ZenVita calls out its cGMP-compliant production methods. Marketing copy claims the pills induce thermogenesis, or the production of heat in the human body, usually associated with high metabolic function. This may be a side effect some experience, but keep in mind that dietary thermogenesis is a complex bodily process dependent on your diet, weight, and other health factors. Still, if you’re looking for value for your money, the double dosage is a plus. Amazon users remark no side effects, but ratings swing wildly between five-star rave reviews and one-star reviews that claim the EBYSU brand accomplished nothing. Many users claim it curbs appetite despite no medical research supporting that forskolin is capable of this. Other users cited multiple lifestyle changes in diet and exercise but attributed their weight loss to the forskolin. While forskolin has been noted to potentially block fat, complex carbohydrates and fats are two different but related things. Consumption of complex carbohydrates may lead to fat formation, but blocking the carbs themselves is not the same as blocking fats. Users looking to eat high-carb diets because this supplement “blocks” them may be disappointed considering Bio Schwartz claims its supplement is free of additives and other ingredients and 100 percent pure – meaning nothing added that may cause this “carb-blocking” effect. USA Supplements is another one that starts out of the gate claiming its product is a “carb blocker,” but this time the company is more specific by saying it blocks the conversion of carbohydrates into body fats. It also claims that it works to streamline weight loss equally well for men and women, yet the blind studies mentioned above showed different results in forskolin’s effectiveness and impact in the body for men and women. It also promises, with an asterisk, increased energy and metabolism function. Amazon user reviews are sharply divided among love or hate with no in between. Positive reviews claim fast results, increased energy and well-being, and controlled carb cravings, while negative reviews claim the pills did nothing at all. Not much differentiates aSquared’s from every other forskolin product on the market save for the reviews. Review ratings stay middling and tepid among a few glowing reviews on Amazon, and one negative review claims the supplement even causes you to gain weight. Others say it’s simply not as effective as other supplements they’ve tried. Without much to offer that sets it apart from other forskolin supplements, aSquared falls short of the mark. Note that Supreme Potential’s forskolin supplement claims “100 percent pure forskohlii extract” rather than the usual “20 percent pure forskolin.” What this means as far as the effectiveness is up to you, but you’re also only taking one pill per day at 450mg vs. two pills per day at 500mg. The question is what you’re getting. It’s rather like the difference between gingko biloba extract and gingko biloba leaves. One has a much higher potency. You may get 100 percent pure gingko biloba leaves, but it won’t be as powerful as 20 percent pure gingko biloba extract. Evaluate for yourself what 100 percent pure forskholii extract means vs. 20 percent pure forskolin. Considering the nature of the product, picking a forskolin supplement is like closing your eyes and playing darts. They’re almost all 20 percent pure forskolin with a 500mg serving, and not much separates them but the packaging. User reviews will tell you how effective they are, considering different companies may use different extraction and compounding formulas. The only one that stands out is ZenVita’s double formula. For the adventurous, a 40 percent forskolin concentration may be what you’re looking for if the 20 percent concentration isn’t cutting it anymore. However, considering the side effects, some may look for something with a lower concentration, such as 10 percent. Considering the average dosage is two pills daily, if you need a lower concentration, you can also buy a 20 percent forskolin extract and simply take one pill rather than the recommended two. Strictly for weight loss, forskolin offers minimal benefits and little proof backed by science. Any weight loss benefits may be a result of the necessary diet and exercise changes required to make forskolin effective. Considering the side effects and interactions, the potential detriments may outweigh the benefits – but your mileage may vary. As with any supplement, try it with caution and measure the effects on your body before making a decision.